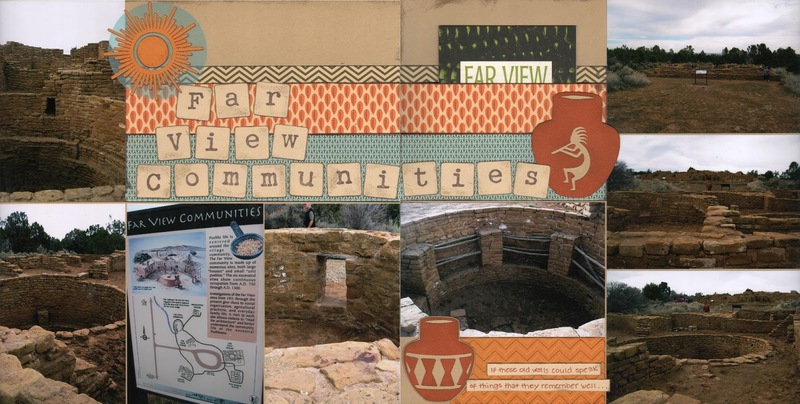 There were so many interesting sites at Mesa Verde, including the Far View Communities of mesa-top villages. Once again, we took lots of photos but I managed to narrow it down to my favorite eight! The sketch I used actually features eight vertical 4" x 6" photos, but I managed to adapt it to fit my photos by making a couple of changes. For the Music challenge over at Scrapbook.com, I used some lyrics from Amy Grant's song "If these Walls Could Speak" as my journaling because it's a little fascinating to ponder what scenes these ancient walls could tell about if they could only speak. Fabulous page! Love the colors and that there are so many pictures!! 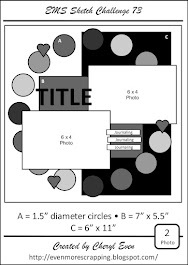 Fabulous layout, Cheryl! You chose perfect colors to enhance your landscape photos. 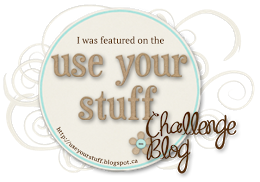 Thanks for sharing it with us at Fantabulous Cricut Challenge Blog! Please join us again soon! These are great scrapbook pages- they make me want to visit the Far View Communities! Thanks for joining us at FCCB this week! Wow, I really like your layout, your story, the place you visited the fun colors and the song you spoke of by Amy Grant. I think the whole layout is wonderful. Thanks for sharing your talent at Fantabulous Cricut. Great take on the sketch and great way to document an adventure. Thanks for joining us at Lets Scrap Sketches. It's hard when you travel to narrow down the photos, I can relate! This sketch was great for getting lots in the layout, so glad to have you playing along with us at Let's scrap!